Plans for K1, a 42-home cohousing scheme at Orchard Park have been approved by South Cambridgeshire District Council. 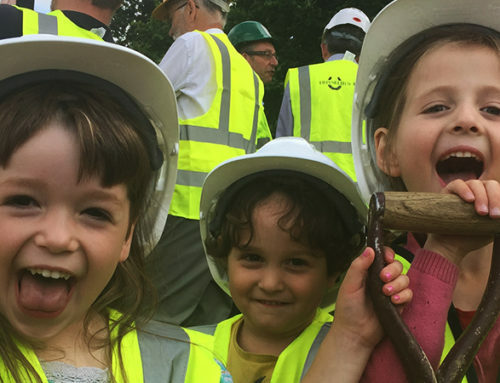 Since mid-2015, members of Cambridge Cohousing have been working with TOWNhus, a partnership between UK developer TOWN and Swedish housebuilder Trivselhus, to prepare detailed plans for the scheme. With this application now being approved, the future residents are one step closer to seeing their dreams for the project turning into a reality. K1 will incorporate 42 homes, from one-bedroom flats to five-bedroom houses. Homes will be privately owned, each with its own private garden or balcony, and will also benefit from a large shared garden and a Common House, where residents will be able to socialise and eat together. Neil Murphy, of developer TOWN, said, “Cohousing is a new, different, and much-needed way of delivering better homes. We’ve worked closely with our partners at Trivselhus, Mole Architects and Cambridge Cohousing to prepare a scheme that meets the planning requirements of the council and embodies the vision of the people who’ll live there”. Purchasers at K1 will have the opportunity to customise their homes from a series of options – deciding for themselves how many bedrooms their home should have, whether or not they want a converted attic, and even the brick colour of the house itself. Development of the site is expected to commence in late 2016 and complete mid-2017. The development is being undertaken by TOWNhus, a partnership between UK developer TOWN (www.wearetown.co.uk) and Swedish developer Trivselhus (www.trivselhus.se). TOWNhus was appointed as preferred development partner by site owner Cambridge City Council in June 2015 for K1. TOWN’s Custom Build approach will allow purchasers at K1 to configure their own homes, inside and out.